We envisioned the new workplace as a strategic tool for how the company will conduct its future business. Moving its 2,000 Texas employees from three outdated locations with siloed departments into a single dynamic, open, collaborative environment translated their new ways of working into business success. Rather than allocate the majority of space to individual workstations as in the past, we created a balance between personal workspace and collaborative areas. 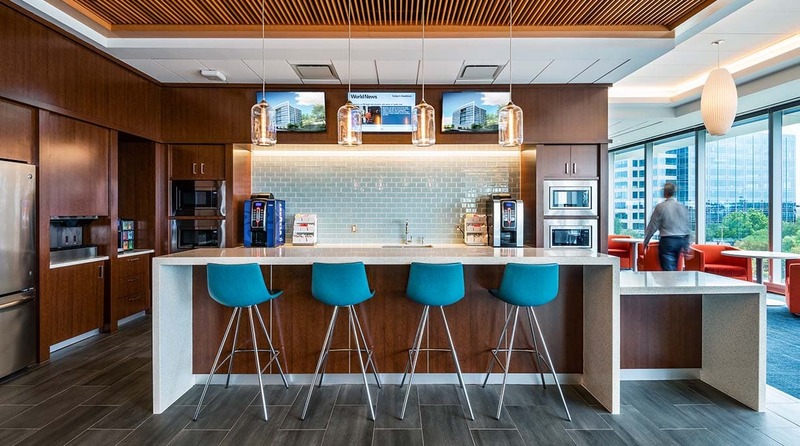 Leveraging technology, the new workplace is activity-based, allowing employees to work or meet in various places according to what they are doing. 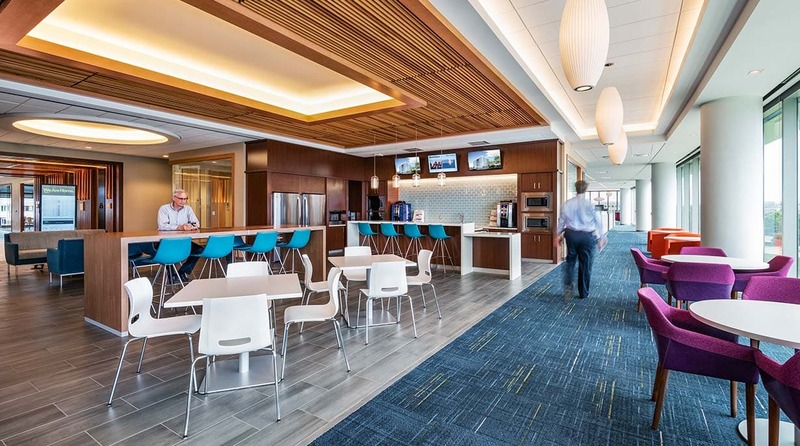 Collaborative spaces include huddle rooms and meeting rooms of various sizes, conference rooms, on-floor “pantries” with food service, informal seating along the windows and even in the dining areas and outdoor terraces. 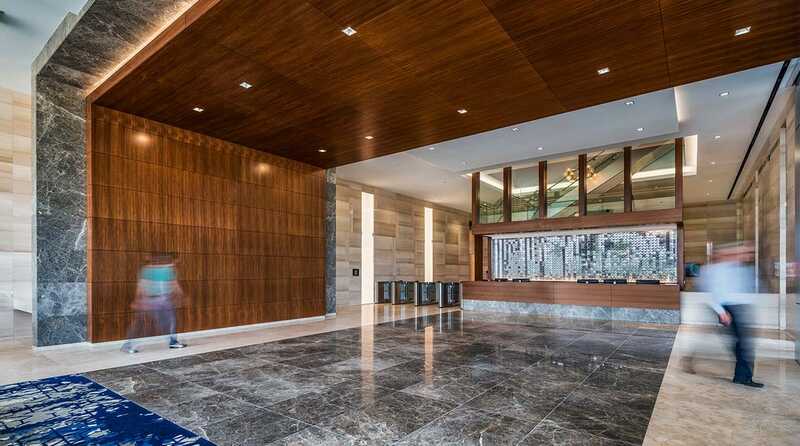 Connecting stairs and common spaces further encourage casual encounters among staff. 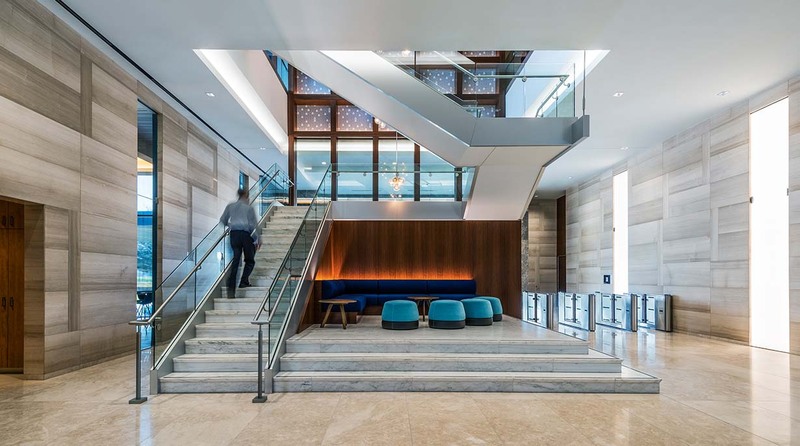 While MGA&D’s task was primarily to program and design our client’s interiors in a new multi-tenant building not yet built, we also helped shape the base building to make the new workplace efficient, energy conscious and smart. 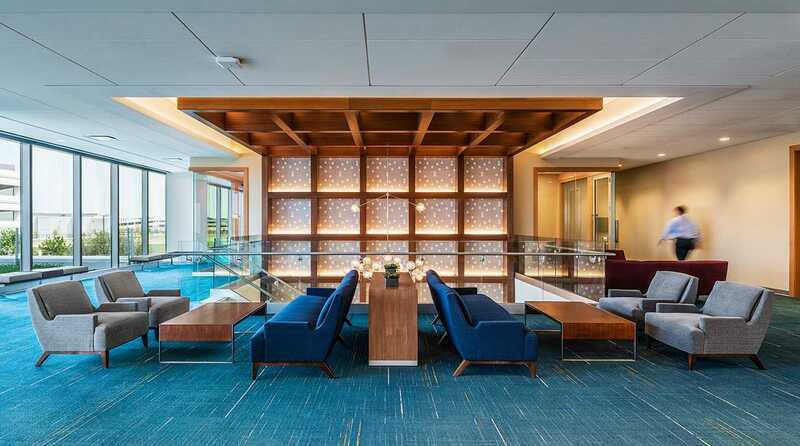 Operations and technology are as much a part of workplace design today as the environment and its furnishings, and we were called upon to assist the client in consider the workplace as holistically as possible. 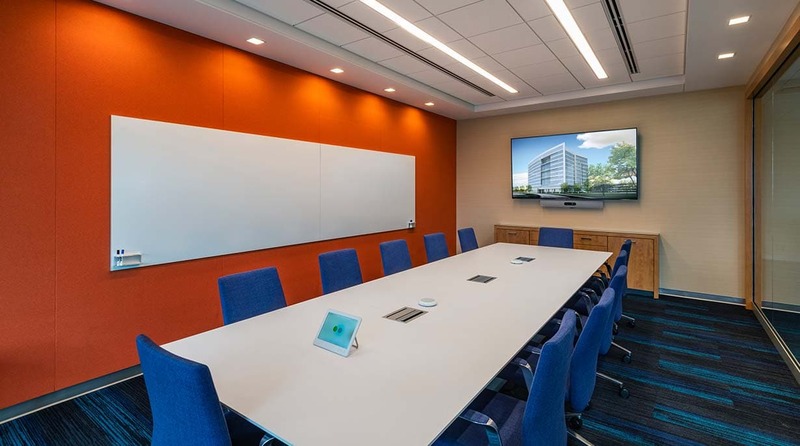 Digital signage throughout the building, a media wall in a large double-height “town center,” robust audiovisual teleconferencing and a digital room reservation system contribute to the seamless support that technology brings to modern ways of working.